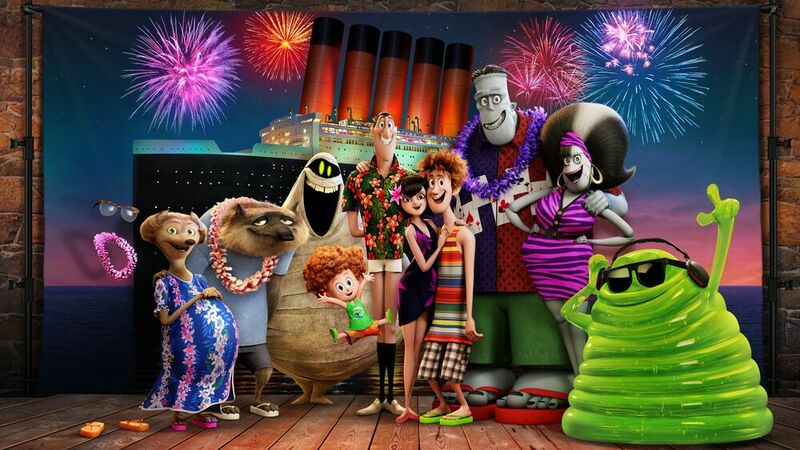 Our family was extremely excited to have the opportunity to review Hotel Transylvania 3 being that we are huge fans of the franchise! With Halloween being our favorite holiday, it couldn't be better timing for a monster filled family movie night. Sony Pictures Animations releases Hotel Transylvania 3: Summer Vacation to Digital HD on September 25th, 2018, and on Blu-ray™ Combo Pack and DVD on October 9th, 2018. The synopsis says "In Sony Pictures Animation’s Hotel Transylvania 3: Summer Vacation, join our favorite monster family as they embark on a vacation on a luxury monster cruise ship so Drac can take a summer vacation from providing everyone else's vacation at the hotel. 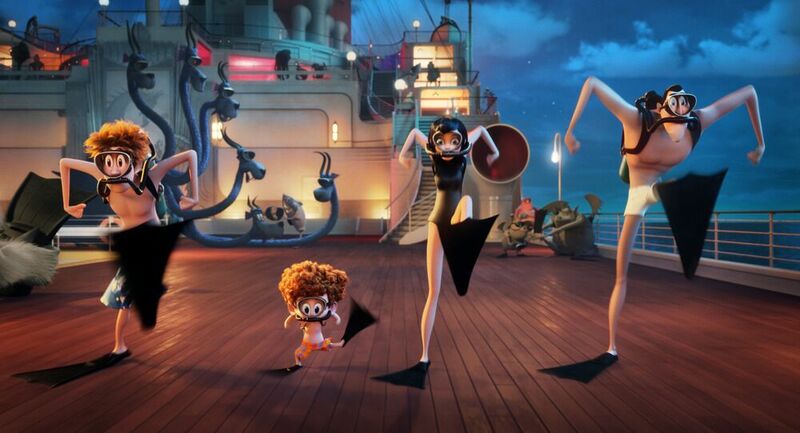 It’s smooth sailing for Drac’s Pack as the monsters indulge in all of the shipboard fun the cruise has to offer, from monster volleyball to exotic excursions, and catching up on their moon tans. But the dream vacation turns into a nightmare when Mavis realizes Drac has fallen for the mysterious captain of the ship, Ericka, who hides a dangerous secret that could destroy all of monsterkind." The entire family gathered around to watch this over the weekend (including my 20 year old daughter who came home just to watch it). We thought this was just as cute as the rest of the films with another new twist. I love how it ties in old spooky stories of Van Helsing with modern day trends and family struggles. AND, the music is just too cute! We loved all the music, especially the goofy ending resolution using music! With more than an hour of bonus materials, we had even more laughs after the film was over. 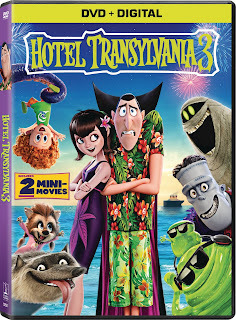 If you are a fan of the Hotel Transylvania movies, you will love this DVD! Giveaway: Sony Animation is going to give one of A Lucky Ladybug's lucky readers Hotel Transylvania 3 on DVD and a Trick-or-Treating themed pillow case of their own!